My laptop's 160GB hard disk is partitioned into more than six logical partitions and I multi-boot Windows 7, Windows XP, Kubuntu, Mandriva and Fedora. So you can imagine how I must have butchered the 160GB. I have managed to logically organize my files on the system, I put my iso image files in Kubuntu and Mandriva, my documents are in Windows XP and Windows 7. This makes it possible for me to frequently access documents on the Windows partitions and also copy documents to them. 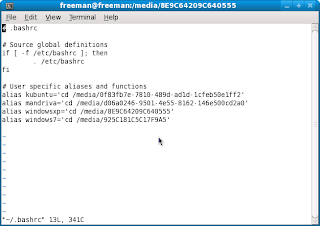 Occasionally, while working in Linux commandline I need to mount images on the Kubuntu partition or read a file I saved in the Windows partition. Unfortunately, Fedora has a terrible way of naming my partitions that are not part of its filesystem, for example the full path to my Windows XP partition is /media/8E9C64209C640555 and the one for my Windows 7 partition is /media/925C181C5C17F9A5. After getting sick of having to copy and paste the path, I decided to do something permanent that will help me get round the problem. 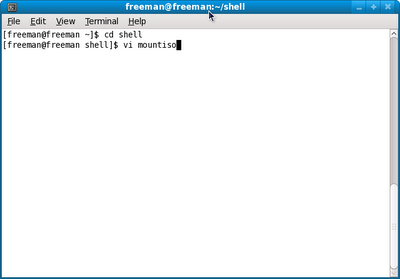 Now everytime I enter windowsxp on my command prompt, I am automatically switched to the Windows XP partition. I have this folder I named "Download", It is one of the largest folder in my Windows partition because it is where I stuff all my software and other downloads. I have always wished that I could right click on any software on a flash drive or CD and see Downloads folder as one of the destination I could Send To. Well this wish did come true, so I will show you how I did it. I navigated to where my Downloads folder is located on my windows explorer and left the window open. 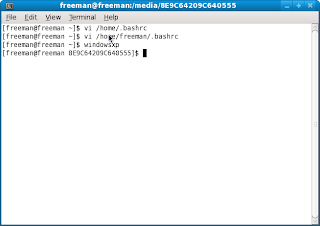 I then navigated to my user account's home folder (mine was C:\Documents and Settings\freeman) on another explorer window. 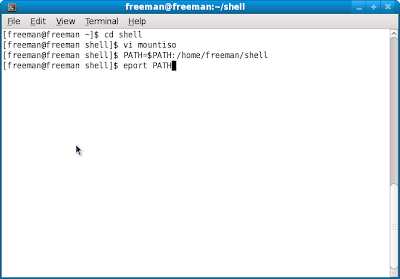 If you are using Vista or Windows 7, the path will be similar to this C:\Users\freeman. 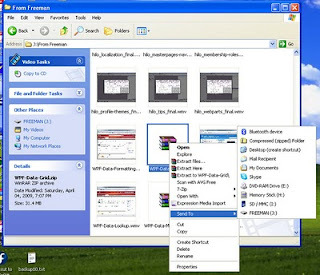 Goto the menu bar (in Vista and Windows 7, you will have to press the Alt button first before you will see the menu bar), click on Tools, Folder Options, choose the View tab and under the Advanced settings make sure that Show hidden files and folders is dotted. 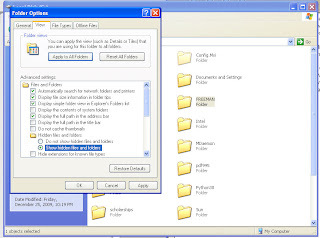 Apply and Ok the selection, then you should be able to see the Send To folder (it will appear faded). Enter the folder. 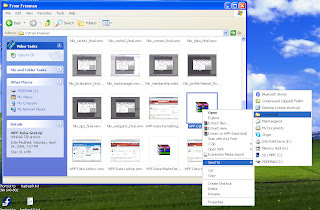 Now position the first explorer window that contains the folder you want to add as a Send To destination beside the Send To explorer window, as shown above. Right click on the desired folder and drag it to the Send To folder, and choose Create Shortcut here. 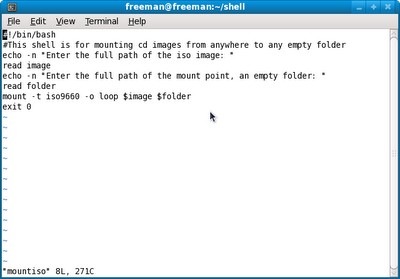 Well that's all, you will now be able to send files and folders directly to this folder from anywhere. Last November when I saw MTN advert of their 3.5G F@stlink modem going for the price of NGN8,500, I could not keep my mind of it till I finally bought it in December. The NGN10,000 3GB bundle for 30 days is too expensive for me (now) and the NGN500 50MB bundle for a day is simply out of the options, so I started with the NGN2,500 3GB bundle with access time between 10:00pm to 5:00am for 30 days. Unfortunately for me, there is no 3G in my area (in Lagos for that matter, I was over-shocked knowing that there is 3G in Akure, my friends say I should quit claiming I live in Lagos). I had to arrange a week in Akure to use up my remaining 2.7GB after struggling to exhaust 300MB for about 3 weeks. 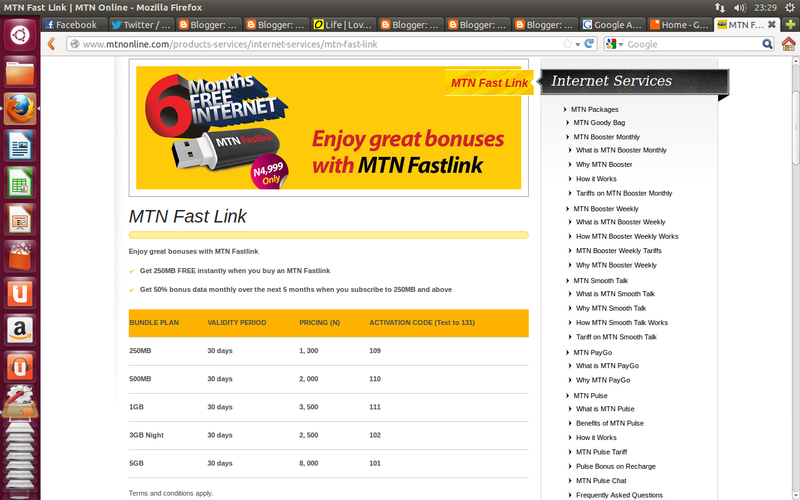 Anyway, now I am using Zain's 1GB bundle over 30 days (NGN5,000) on the MTN F@stlink modem. And I have also used Etisalat and Glo on it. Now to the main content: How to configure MTN Fastlink for the other networks. Once you have installed the MTN F@stlink software which comes with your modem, you can configure the modem to connect through any network of your choice as long as you have their network connection settings and data enabled SIM (most SIMs are by default data enabled).